On Tuesday, Feb. 24, the cast of Season 20 of Dancing With The Stars was announced, and the lineup includes Patti LaBelle, Nastia Liukin, The Dude With The Hair from LMFAO, and many more. One of the names that you may not immediately recognize on the list is Noah Galloway, so why don't we do a bit of research? Who is Noah Galloway, the newest member of Dancing With The Stars ? He may not be a celebrity in the most traditional sense, but his inspirational life story will probably be optioned for a screenplay one day. After paralympian Amy Purdy in Season 18, Galloway is the second double-amputee to compete in DWTS history. As Yahoo! 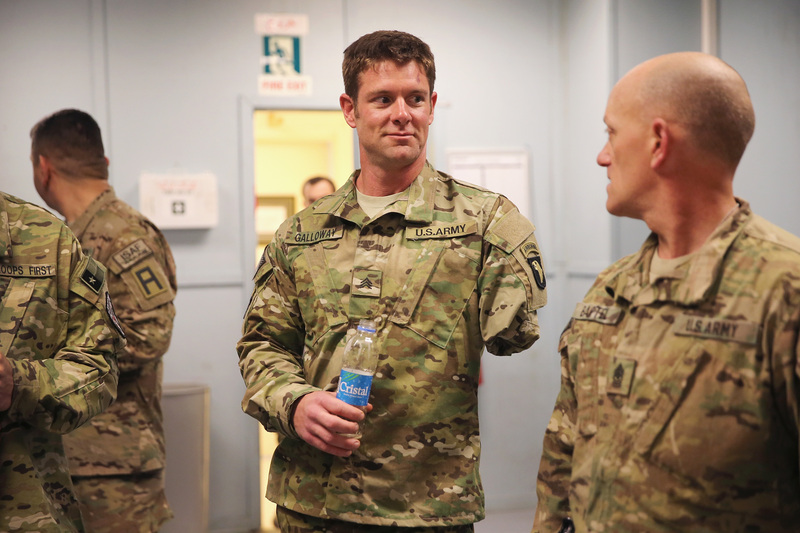 Health reports, Galloway is a 33-year-old Iraq war veteran from Alabama who lost his left arm above the elbow and left leg above the knee in the line of duty in 2005. His story became widely-known when he covered Men's Health Magazine in October 2014 by being named the "Ultimate Men's Health Guy." He was also the first reader to cover the publication in the magazine's history. PRETTY big deal, y'all. Recounting his story in the Men's Health profile, Galloway remembers that a "roadside bomb that big enough to send our 10,000-pound Humvee flying through the air" was responsible for his injury. He sunk into a deep depression after waking up in a D.C. hospital to find his body permanently altered. But years later, he worked himself out of the psychological rut with running, physical fitness, and health. Lo and behold, he earned the title of "Ultimate Men's Health Guy." Meanwhile, I have all of my limbs, and I think the only athletic title I've been worthy of thus far in my life is "ultimate pizza-eating girl." Since then, Galloway has created a philanthropic organization called "No Excuses Charitable Fund" that raises money and awareness for causes like fitness and veteran's rights. He also has three kids who will indubitably be tuning in to watch him cut a rug with dancing partner Sharna Burgess on the DWTS premiere on March 16.